High potentials: They’re the top 5% in your company and its future leaders. Wouldn’t it be great to be able to tell someone they’ve been identified as a high potential? Sure, but only if you’re willing to tell that person they’re no longer considered a high potential. People usually pay attention to the prestige and development opportunities that come with being a high potential. But remember that 5%. Being a high potential mainly means you’re part of a special selection process. Some make it one level, maybe two. Most don’t make it farther. My recommendation: keep the information to yourself. Here are four reasons. If they know they’ve been identified as high potentials, some people become more cautious than they should be and make poor decisions. Others act as if they’re already the heir apparent. That also can lead to poor decisions and it can negatively impact relationships with co-workers. Either behavior can kill someone’s chances. People often are dropped from high potential programs for reasons that are beyond their control. Maybe the business model changed or the company reorganized or was acquired. Or maybe the economy changed. Maybe some executive didn’t like the way the individual answered questions during a presentation and the impression stuck, as it often does. There are lots of potential reasons. In most circumstances, it’s difficult to tell someone they’re out. But it’s particularly difficult when there’s nothing the person can do about it. You could lose a terrific employee. When an individual knows that he or she is a high potential, there’s a good chance lots of other people know too. Some companies make the information public. If the individual is no longer a high potential and his or her peers and others know, it can be difficult and embarrassing for the ex-high potential. In some cases, moving to another company really is the best alternative. And sometimes that can be a good thing if the fit is better. But no-one knows that in advance. The argument goes that if you give people special assignments that look like they’re for “high potentials” and have them attend specific training programs that look they’re for “high potentials,” you have to tell those people they’re high potentials if they are. You don’t. Each of those can be part of the normal development process. Similarly, some argue that if you want to retain a high potential, you need to let them know so they don’t leave. Actually, the first thing you need to do is find out the individual’s career goals and whether he or she is interested in moving into management – the career path for high potentials. If they are, you can explain the pitfalls of being considered a high potential. 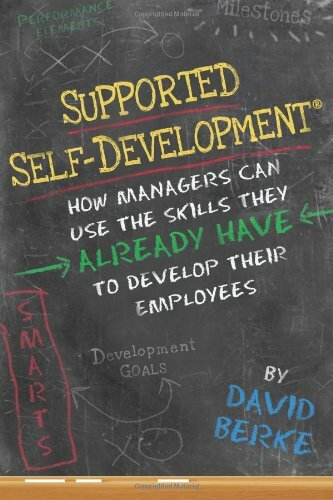 For those employees who are interested, you can work with that person to put together a development plan that helps them prepare for a management role. Remember, many managers never were “high potentials.” Most of them do fine anyway. It’s important for a company to be able to keep strong performers whether they are on the management track or decide to remain individual contributors. Generally speaking, telling people they are high potentials won’t necessarily help that. Much of the development that occurs in high potential programs can occur through regular management development processes. Have a well-articulated policy spelling out the reasons people won’t be told. Make that policy public.